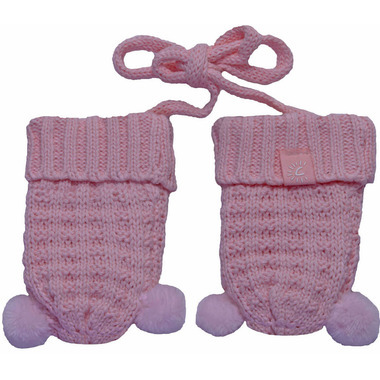 Keep your little one's hands warm and stylish in these adorable Calikids 100% Cotton Knit Mitts with Pom Poms! The cord is an awesome feature to make sure no mitt gets left behind! Simply lace these mitts through the sleeves of your little one's outerwear for that added comfort. The soft velvet lining ensures that the hands stay warm, but it is still breathable due to the 100% cotton knit.